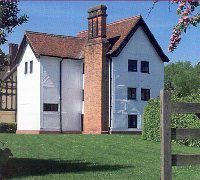 Queen Elizabeth's Hunting Lodge is situated at the heart of glorious Epping Forest. 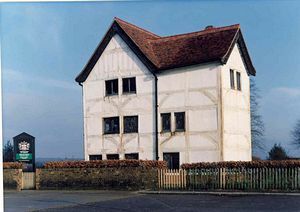 The timber- framed grade 2* listed building was commissioned by King Henry VIII as a grandstand for shooting deer from. Dating from 1543, it would have been the centre of a lavish day out for Tudor courtiers. Today, the Lodge is quiet and visitors can explore the kitchen and the King's shooting gallery, admire a ceiling which inspired a young William Morris or admire the fantastic view. Brass rubbings and dressing up clothes are available for children. Special events are organised and private tours for groups are available. Queen Elizabeth’s Hunting Lodge is open seven days a week from 10am to 5pm all year round including Bank Holidays; it is closed on Christmas Day. The Hunting Lodge may also be closed to the public if school groups or booked tours are using the building. During these times, you can enjoy visiting The View or Butler’s Retreat instead. You can find out if the Hunting Lodge will be closed by phoning before visiting. On the A1069 to North Chingford. 5 minutes from Chingford bus and rail station.